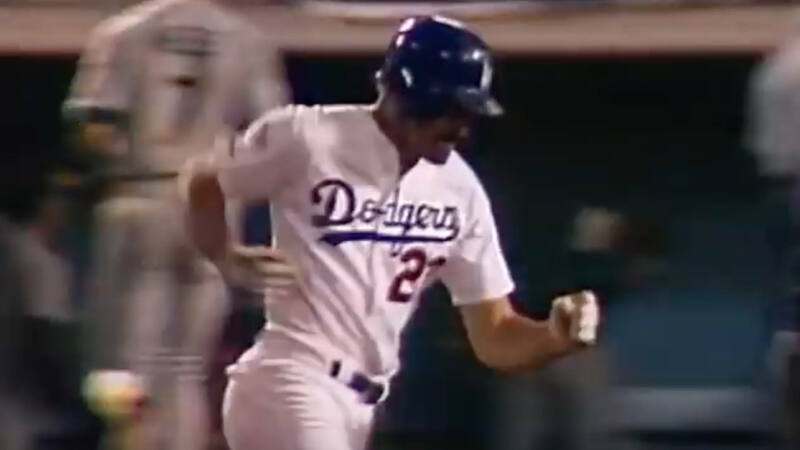 We’ve seen Kirk Gibson hit that World Series walk-off homer hundreds, perhaps thousands of times. We’ve memorized the classic calls. But one call that’s been unfortunately underrepresented, if not forgotten, in the decades since that 1988 classic belongs to the late Hall of Famer Don Drysdale, who called the game for local Dodgers radio. Drysdale, who was a broadcaster for more than two decades after his playing career, had an everyman quality about his calls but also spoke with authority and clarity. His call of Gibson’s homer falls along those lines — with an obvious dose of excitement and awe thrown in. Always professional, but also very much human, Drysdale’s voice has a lot of fan in it as the ball sails over the wall. Watch and listen as he calls the last few moments of the ninth inning, along with the aftermath of Gibson’s blast. Drysdale’s call of the iconic moment is definitely worthy of inclusion with the other greats. Can’t you just feel the “Holy crap! That just happened!” vibe in his voice? His call might never have the stature of Scully’s or Buck’s, but his raw emotion certainly spoke for millions of baseball fans as they witnessed history.